We have been inundated with comments and questions regarding our top ten tracks of late. Many of the comments focused on the qualitativeness of each track (food, ambiance etc), and we had to many times mention we did not look at such things. We looked at metrics that have long been associated with player satisfaction and handle growth - lower takeout, field size and wager variety. We believe that these metrics are very important not only to the player, but to the business of racing. Let us have a look at Retama Park, the seventh rated track by HANA in terms of wager value. In this study we will look at Retama’s (and in fact North America’s) best bet - the 12% takeout pick 3 and see what it can do for a player’s bottom line. The 12% pick 3 is a bet that gives a regular player the chance to compete with larger player in terms of prices. 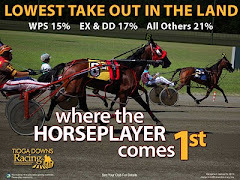 For a track with a 28% takeout pick 3 a large player may be rebated 10-16% bringing down the cost of the wager, but a regular, smaller player will not get that same price. A 12% pick 3 is rebated at nothing for a rebated player. It is the quintessential level playing field. Now Jim has read the HANA rankings and has decided to switch his pick 3 play to Retama. He begins to do his due diligence, he gets trainer and jock stats and plays on paper for a little while. After he feels at home he dives in, playing the exact same way he did at his old track. But this time he gets a 12% takeout on his bets. Using the exact same hit rate and payoff, Jim notices he has a few extra dollars in his pocket at the end of each week. Instead of getting paid $26.60 at his old track, his new wins pay $31.20. Not much of a difference right? Well, let’s see. This one small change turned Jim into a winner - something that 99 out of 100 players are not. Overall he is $1844 richer by the end of the session, just by shopping for low takeout. His ROI has jumped from 0.89 (better than throwing darts) to 1.04 (a hard-to-come-by figure). The interesting point with the above study, is that in case A with a 25% takeout, Jim has gone broke if he started with a $1,000 bankroll. He does so long before he finishes the meet. Guess what racing? People are reloading less and less now, because they are tired of losing and they have alternatives now, so there is a good chance that Jim does not even last long enough to play that full $12,000 handle. In case B, playing at Retama, Jim does not have to reload. His $1000 bankroll is now $1484 at the end of the meet as he has stretched it. Is he going to go buy a new car with the profit? Of course not. But he will do three things: 1) Believe he can win and 2) Up his bet size and play more and most importantly 3) Have more fun. 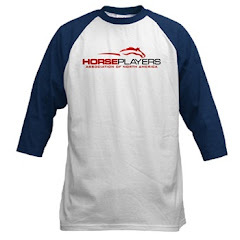 We are well aware that there are some horseplayers who will play into 25% takeout pools, and do so happily. 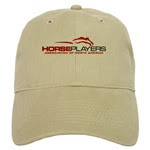 We also are well aware that some horseplayers want to bet a higher class of horse, regardless of the price charged. But there are some players out there who believe it is not worth $1844 to them at equal strike rates to watch those races, and play those tracks. For that type of player, we encourage them to take a look at some of the offerings of places like Retama. A potential ROI hike from 0.89 to 1.04 on equal wager size and hit rates is something to think about. Note: The 12% pick three is also offered at Sam Houston (#20). It is wonderful that there are still some astute individuals involved in this game. In a previous post under the poker players topic, I suggested the same solution to those who complain about the take making one a loser. Fortunately, we still can exercise choice. Once again, the takeout only affects winning wagers. Misjudgement, be it for whatever reasons results in losing wagers. 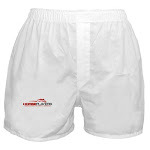 Reduce your number of losing wagers and maximize your winning wagers and voila. A better, more enjoyable and profitable pari-mutuel market speculating experience. My favorite bet Is Monmouths pick-4 at 15%. Look at equidaily Aqueduct add. above the Fold. Every Blog should have something like that Promoting Low takeout bets(who knows Maybe they'll even pay for it). Eventually The High Takeout tracks will take notice. Sam Houston also offers a 12% takeout on Pick-3's. What other track in the top 20 offer 2.5 points per dollar wagered, FREE live & simulcast programs, FREE DRF's, a COMPLIMENTARY Jockey Club membership and a COMPLIMENTARY brunch buffet every Friday, Saturday and Sunday (during both live meets and down time) for players who wager $10,000+ per month? These benefits certainly contribute to a players' on-track experience and provide exceptional value. HANA: Please visit SHRP before releasing the 2010 rankings! To check out all the benefits of Park Rewards, visit www.shrp.com. Thanks! For the record we have no problem in tracks or ADW's emailing us special promo's or rewards. 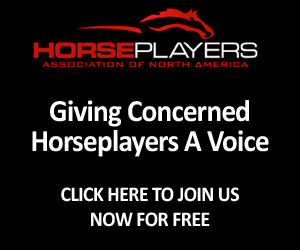 We will not endorse them, of course, but we will let players who follow the blog know about them of we feel they provide horseplayer value. We might do something in this vein in the future, to be used a player resource. Number 543 on the list of to dos! Another outstanding illustration on how less is actually more. Less take will usually result in more churn, and racetracks would eventually come out ahead in the long run. Everybody wins! Keep it up. maybe consider rankings based on a live racing experience and a simulcast experience. They certainly will differ, but may shed some light on positives on the live racing experience which tracks can then review and develop strategies to draw more first time customers and casual fans, without the expense of the core player, who will always remain a focus. Just my thoughts...I look forward to hear what you think. 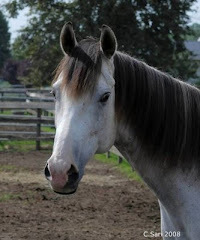 Thanks for providing an open forum for horse racing dialogue and discussion.